TJ MELTDOWN AT WACKEN OPEN AIR! JOIN THE TURBOJUGEND FAN CAMP AT THE WACKEN OPEN AIR. ... the organisers of the W:O:A invite the Turbojugend. 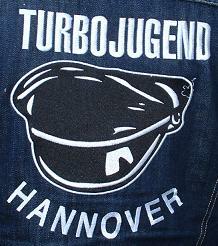 Please contact battle-axe@gmx.org if you would like to join the Turbojugend fan camp. Our body is a temple and at Wacken we will tear it down!